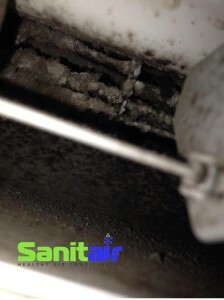 Do you have Mould & Bacterial contamination in your air con, that your room occupants are breathing in? 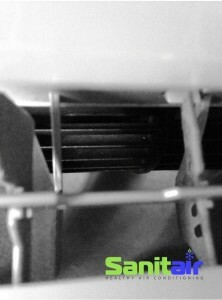 Before and After Sanitair™ treatment on a scroll fan. 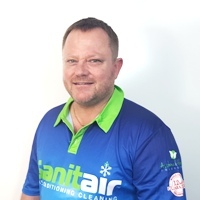 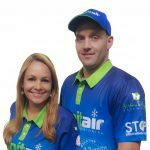 Our aim at AirCon Cleaning Gold Coast is to continue to provide our award winning service, with over 14 years in the air conditioning cleaning business, Sanitair™ understands what works and what doesn’t work when cleaning air conditioners. 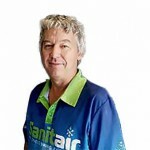 Sanitair™ have found that TEA TREE applications are not effective, initially we started using TEA Tree but found mould still an issue in as little as 3 months from treatment date. 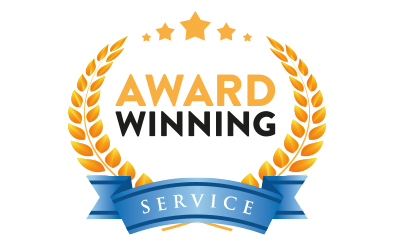 After 14 years of trial and error we have found our anti bacterial treatment to be the most effective and offer our customers (both domestic and commercial) a nationwide 12 Month Mould Free guarantee. 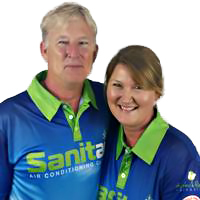 Call Sanitair™ today and find out why we are Australia’s premier AirCon Cleaning Service business in Australia. 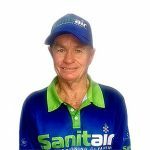 Yes, we are now servicing Australia Wide, Enter your postcode to find your local qualified and licensed Sanitair™ technician. 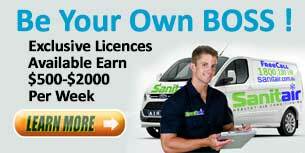 Sanitair™ air conditioning servicing Australia Wide, Freecall 1800 130 168.